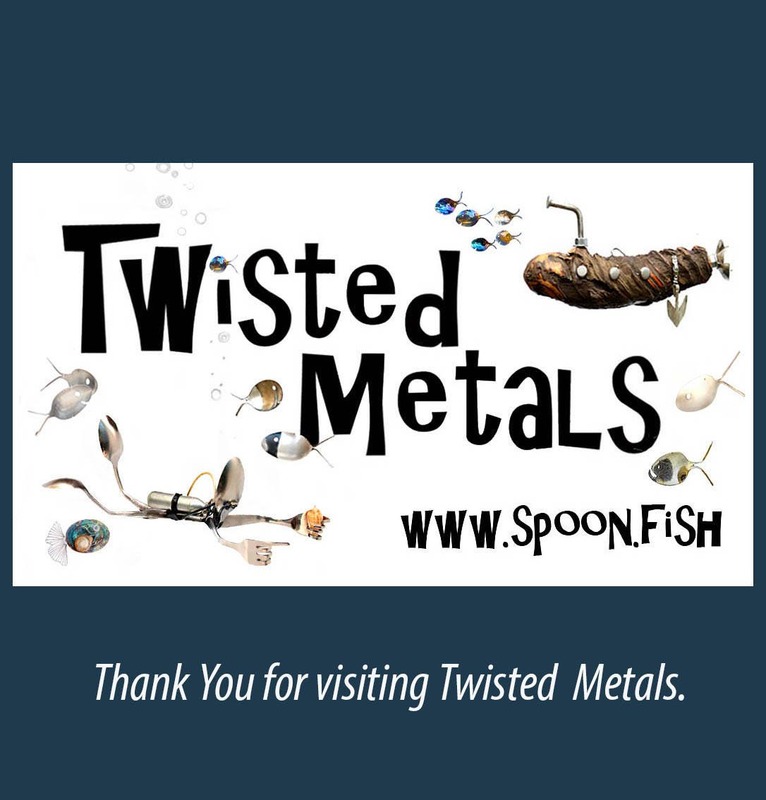 Welcome to The home of the Original Spoonfish windchimes! 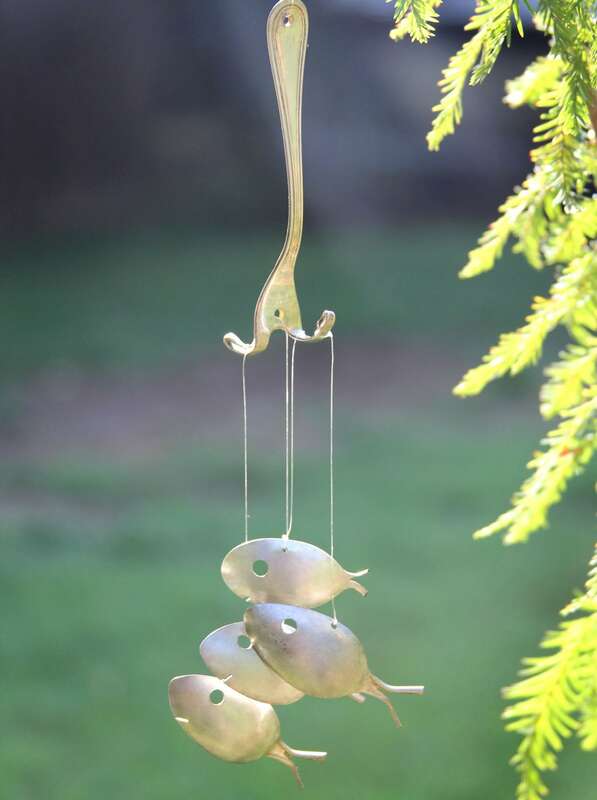 These petite spoonfish windchimes are simply dainty and delightful! Microtastic! Just look at the size difference when compared to my larger set. Four tiny minnow fish swim beneath a smaller four tined fork. Offered in a variety of patinas. Delightfully tiny, soft sound make these are sure hit. 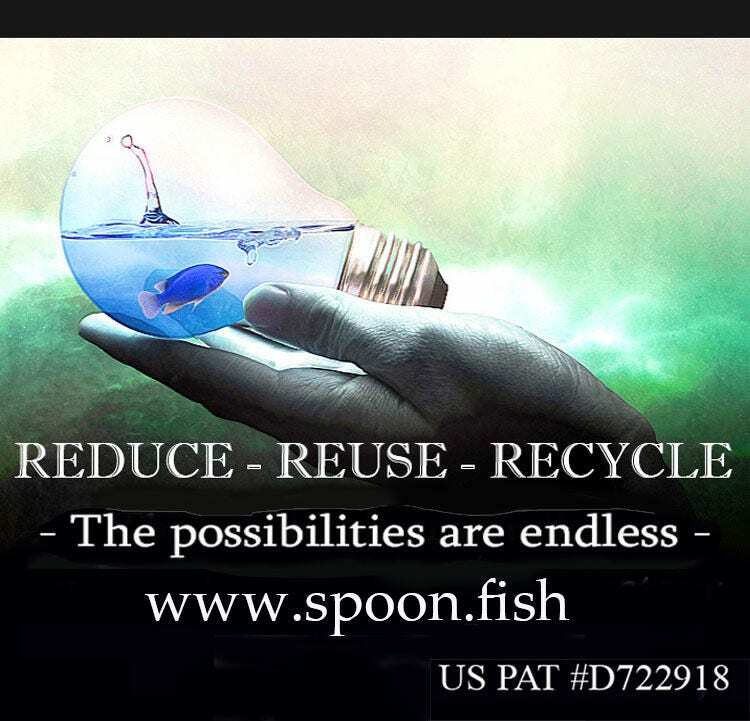 Spoon Fish are up cycled from antique silver plated souviner & coctail silverware. Dates back as far as the early 1800's. 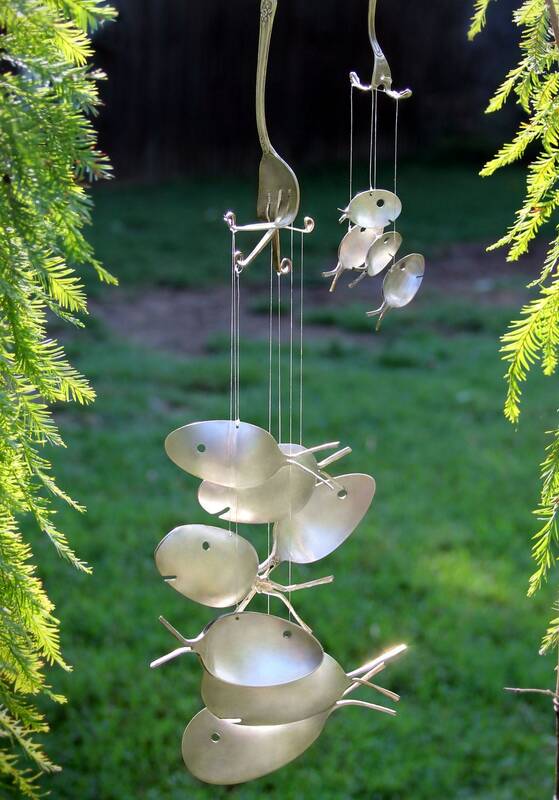 Sit back & relax as these windchimes sing stories of the stories past. Each set is unique, yet equally adorable. 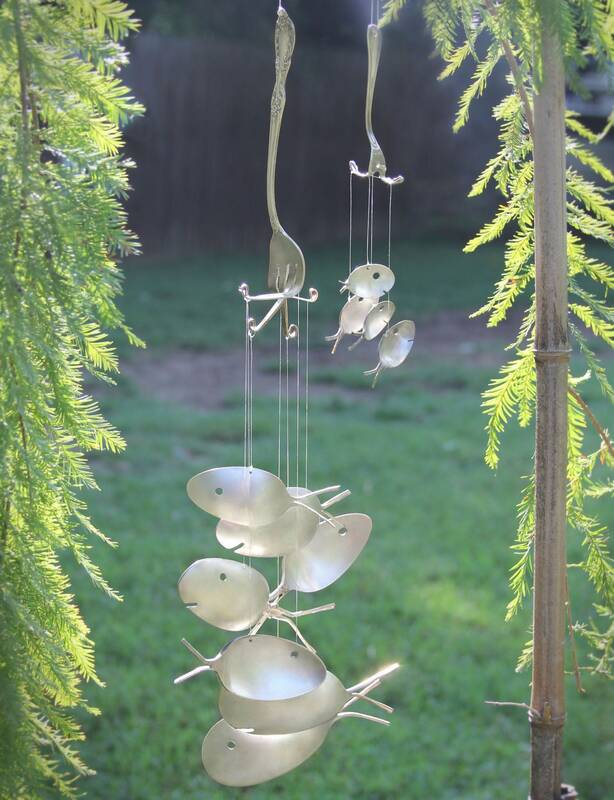 See my Spoonfish Wind Chimes & Etsy shop in action! Be sure to check out this featured segment on Time Warners Cable's,Made in the Carolinas. 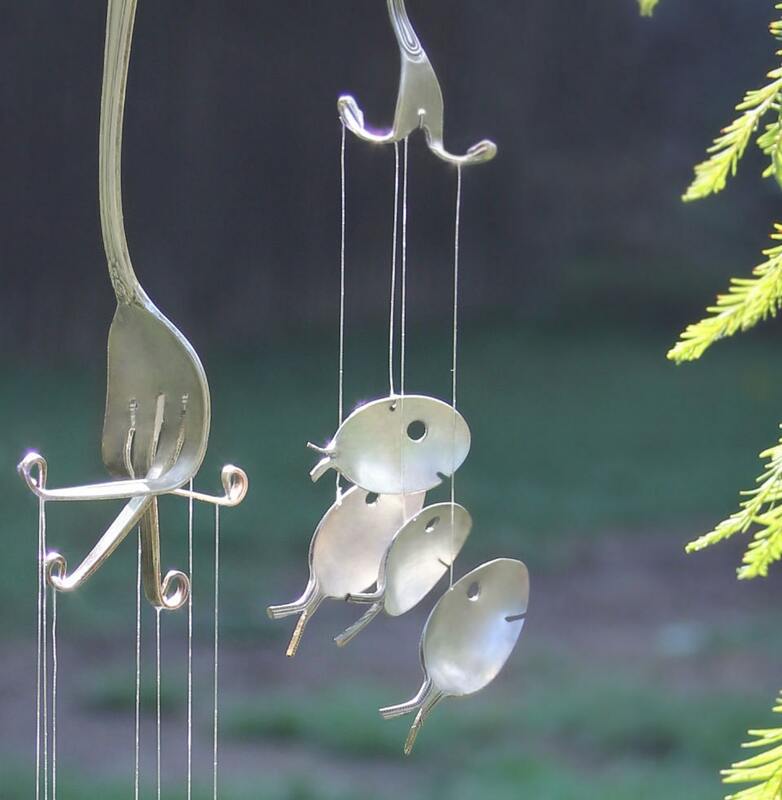 Spoon Fish Windchimes are available in a wide variety of colors, shapes & sizes. To see more please visit my other listings. 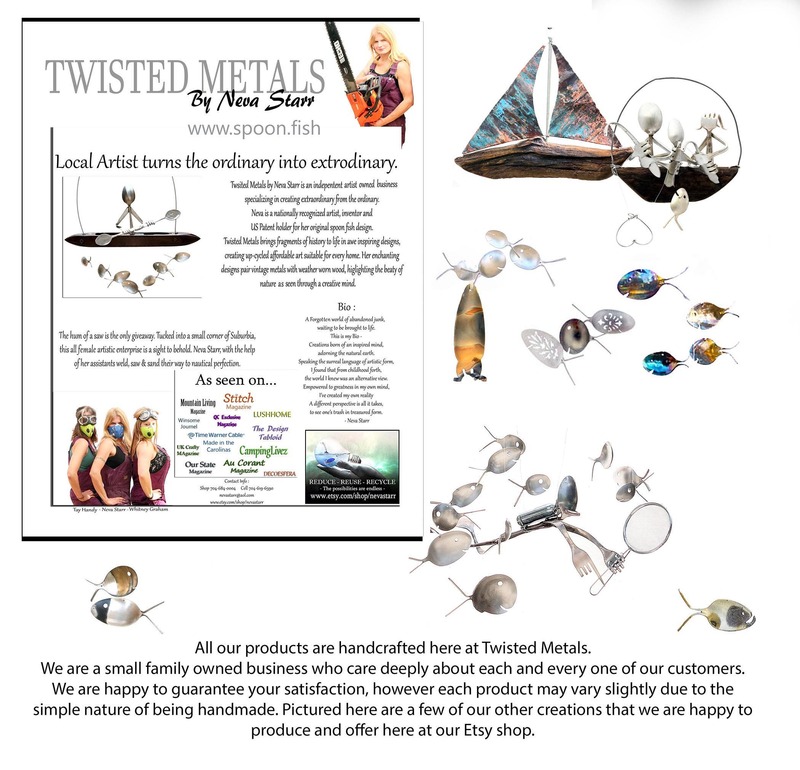 Wholesale prices are available upon request..